Coeur d'Alene sees dramatic drop in violent, serious crimes. Reporter Kyle Simchuk has an exclusive sit down with the CDA police chief. Hills, 9-0-2-1-0... turning now to watch-- we're starting with good news out of coeur d'alene where violent and serious crimes continue to drop. 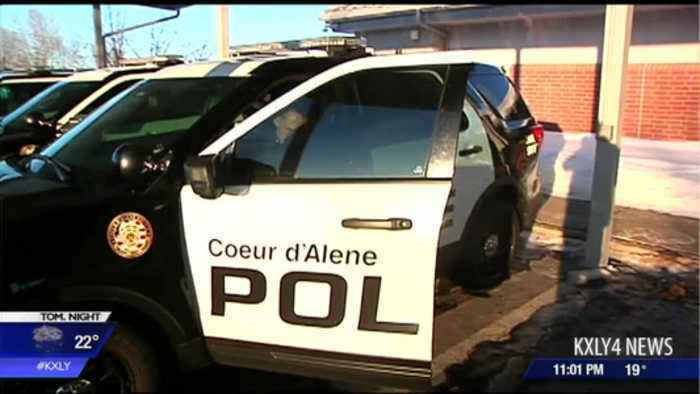 Coeur d'alene police chief lee white says overall crime rates and incidents are the lowest they've been in 20 years -- in part he says because of the way his officers are patrolling. In a nightside exclusive -- kyle simchuk sat down with chief kyle -- the chief also gives credit to citizens -- working with police to combat crime. He says more people are calling in and reporting suspicious activity -- and every day, officers are looking at crime analysis reports which show hot spots. As a result -- chief white says his officers are working smarter not harder. When lee white was sworn in as coeur d'alenes police chief in 2014 -- he brought a new approach to crime fighting. 11:58:02 5-9"a lot of this is just about policing smarter not necessarily policing harder." :04he put an end to random patrols -- and focused more on data -- directly from police reports. 11:57:45"we take a hard look at where the crime is occurring and who is committing the crimes and the time and dates that they are occurring and really direct our patrols toward those areas." :10it's a lot to consider -- but captain dave hagar says it's actually made the job easier for officers and detectives. 12:09:27 31-39 "before crime analysis you may take 3 to 5 weeks to get your way into a vehicle burglary ring. Now we're talking 3 to 5 days and we've identified the folks that are involved in that." :09and since introducing this data driven approach -- violent and serious crimes in coeur d'alene have dropped 45 percent. 11:57:08"this is a fantastic thing for our community and you have to realize it's not just any one person or one group that has effected this change." :08 white says it wouldn't have happened without the men and women of the coeur d'alene police department. 12:01:40 "taking the different methods of crime fighting and embracing it. :05or without the support of the mayor and city council. 12:02:00"we have a little bit better equipment, we've increased our staffing by a few officers over the past couple of years." :04 white also attributes the drop in crime -- to the department's close relationship with the community. 11:58:10our citizens who feel comfortable speaking with the police and maybe telling us about cromes or suspicious activities that might be occurring." :09 all of the crime analysis data is available online. Our viewers in coeur d'alene can also monitor crime in their neighborhoods. We have a link in our story at kxly dot com.